Think slim fit pants are only for slim guys? Think again. 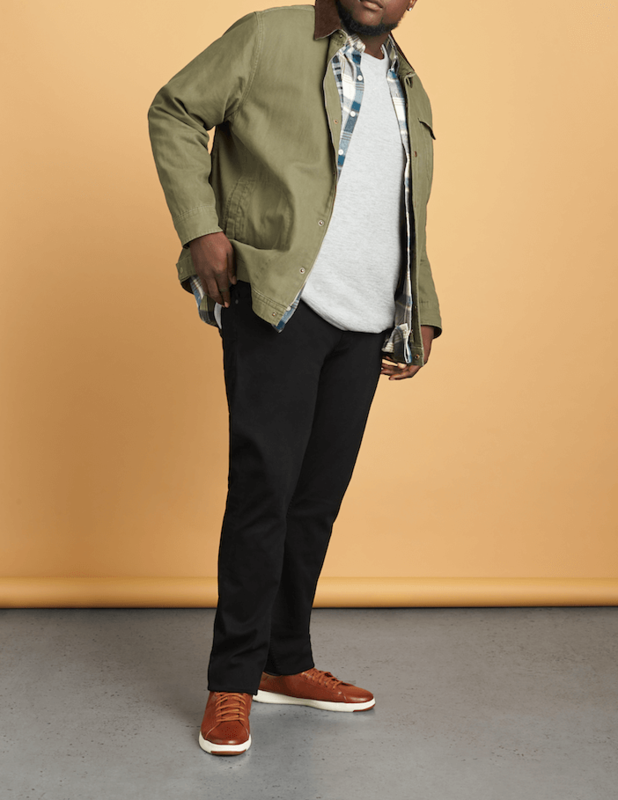 Slim options can go into a stocky guy’s regular pant rotation with a proper fit and some easy styling. Read on for our expert quick tips. While your first instinct may be to reach for a looser fit pant―don’t. Opt instead for slim leg and slim-straight leg pants & jeans that fit properly in the waist and break in the right place on your shoe. A blazer’s structure also camouflages your middle section and adds dimension to your look. Pair yours with dark jeans & a pique polo―or layer it over a dress shirt with classic tan trousers. A proper-fitting woven shirt doesn’t pull at the buttons and will cover your midsection. Wear casual wovens (available in all colors & prints) with a rounded hem untucked to fall straight down over your frame. Not too tight, not too loose—the trick to getting the right fit is well…having us nail it for you. Rule of thumb: You should be able to tug at your pants and have them give a little (or about a knuckle’s worth). Want another hint? We’re excited to now offer sizing up to 3XL, so you’re sure to get slim pants that fit and look good. Husky and ready to give slim pants a try? We now carry 3XL, so schedule a Fix today for pants that fit.